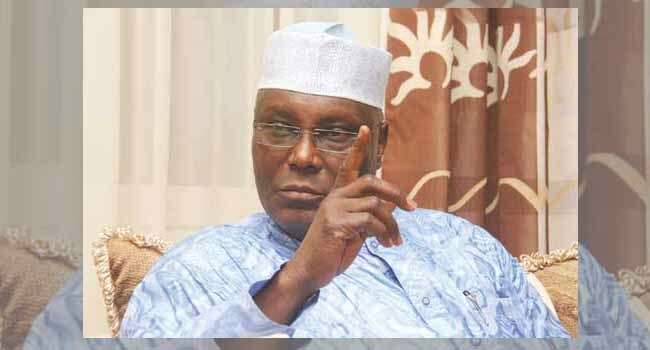 Former Vice President Atiku Abubakar has officially declared his intention to run for president in 2019 on the Platform of the Peoples Democratic Party. Mr Abubakar announced his candidacy in Port Harcourt, the Rivers State capital on Tuesday, four months after dumping the All Progressives Congress. The former Vice President said his decision to make the announcement in Rivers State because is because he believes Rivers State Governor Nyesom Wike represents what he represented in 1998/99 as the live wire of the PDP. Mr Abubakar was in Rivers with the former Governor of Ogun State, Gbenga Daniel; Senator Abdul Ningi and some other party leaders. Governor Wike, in reaction, described the former VP as a presidential candidate feared by the APC. The governor, however, played down his own position in the PDP, insisting that all genuine members of the party are its live wire. 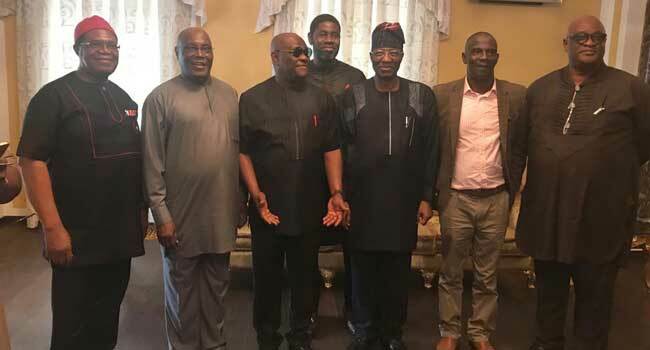 Former Vice President Atiku Abubakar, Rivers State Governor Nysom Wike, former Governor of Ogun State, Gbenga Daniel and others in Port Harcourt on Tuesday. Three years and several legal battles after, the PDP was ousted from power at the federal level, its leaders believe it has what it takes to reclaim power in 2019. According to Governor Wike, the PDP is not just interested in seizing power in 2019, it is out to rescue Nigeria from what he described as a period of maladministration. The Governor called on other aspirants of the party to do nothing to jeopardise its chances in the 2019 general elections. Mr Abubakar, who contested against President Muhammadu Buhari for the APC presidential ticket for the 2015 general elections, resigned from the APC in November 2017. In his resignation letter, he accused the APC of embracing unconstitutionality and of failing to keep its promises to Nigeria. 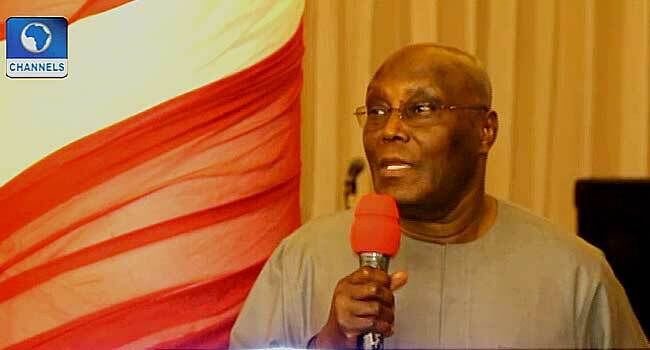 On December 3, 2017, he announced his return to the PDP. Following his return to the party, he participated in its national convention at which Uche Secondus was elected National Chairman of the party. He has also held meetings with key figures in the PDP. In January, he visited Ekiti State Governor Ayo Fayose with whom he said he had a good relationship.